How can virtual reality help patients with brain injury? At the UiTM SISU launch, we met with Fariz Hanapiah and Shamsul Nashriq from Motiofixo, Malaysia’s homegrown creative agency. 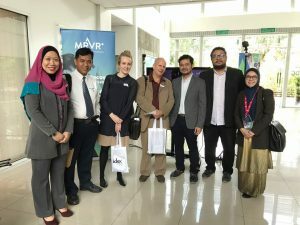 They have recently launched MRVR, and are working with UITM”s Faculty of Medicine to explore how virtual reality can help patients with traumatic brain injury in their rehabilitation programme. 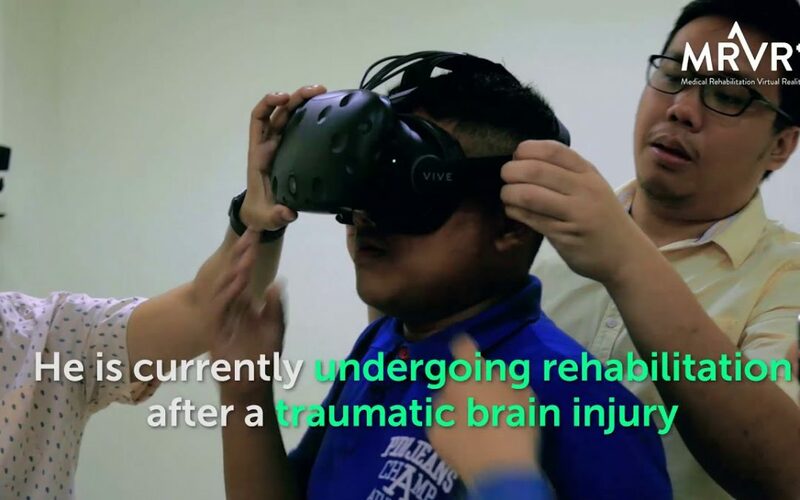 MRVR is a platform, which gathers VR content that are of use for rehab from all over the world, and made accessible to rehab facilities and hospitals. 1) Tell us about your idea/project, virtual reality platform for healthcare. What inspired you to do this work? The idea came about as we were already doing VR content but mainly for little games for brand activations and experimental work. We felt that we needed a bigger goal to just making simple games. Making a full fledge VR game would be the usual path to take looking at the size of the industry but to me there are more untapped areas of making VR content for other uses. We thought of making VR to help people, and rehab seems like the path that we could go into. 2) How are you working with the University (UITM) at the moment? Where do you see the synergy in working with a university? It will be really important to be working with UiTM’s Faculty of Medicine. It will provide us the clinical backing to how VR will help the patients. It is a perfect match as we seek clinical advisory and them seeking new tech to help facilitate their patients and research. 3) At what stage is your project? What will be your next steps? How do you aim to maximise the impact of your project? We are at a stage of getting the awareness and completing our pilot content as a proof of concept. As awareness of the usage grows, so do our target customer reach. We will be working closely with UiTM with their established networks of medical organizations and associations to get the awareness through. 4) What are some challenges you face? Challenges I would say getting the clinical stamp and approval for the contents. And as for the platform will be on getting VR developers to hop on the platform. First few VR content should be able to set the tone of the rest of the content on the platform.On the other hand, as we just about to penetrate a new dimension (healthcare tech), it is important for people (investors, media, innovators) to be aware of such tech. More and more efforts on educating and explaining how our tech works would be essential. 5) What does social innovation look like in Malaysia? What is it’s potential? Social innovation is pretty much a big deal in Malaysia. Besides globalisation, the government has also contributed by introducing Blue Ocean Strategies that can enhance society & governance efficiency through social innovation. This has created a trend among young Malaysians taking part in volunteerism, entrepreneurship as well as activism programs that require them to mobilise low-cost-high-impact ideas. In the long run, it can position Malaysia as the best social innovation hub of the region.